Drums Food International Pvt. Ltd on Friday said it has raised Rs 90 crore ($13.8 million) in a Series B round led by existing investors Belgium's Verlinvest and early-stage investment firm DSG Consumer Partners. InnoVen Capital, a venture debt provider backed by Temasek Holdings, also took part in the round, the company statement said. Venture debt is becoming an important funding tool for companies as it rarely involves stake-dilution by promoters. Floated in 2008, InnoVen Capital India has provided over 120 loans to more than 85 early- and mid-stage startups, including Byju’s, Snapdeal, FreeCharge, Myntra, OYO, Practo, Portea and Voonik. 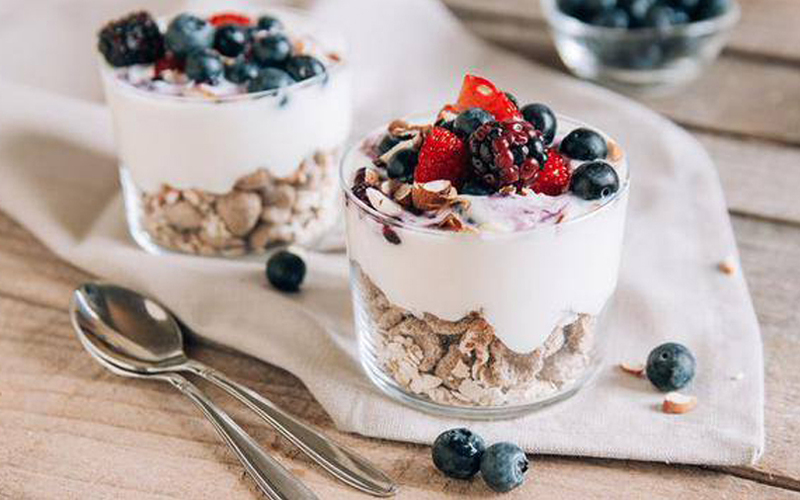 Drums Food, the maker of Epigamia Greek Yogurt, will use the funds to launch new flavours, initiate brand-building and increase production capacity, the statement added. The company, founded in 2008 by Rohan Mirchandani, Ganesh Krishnamurthy and Uday Thakkar, also manufactures the Hokey Pokey brand of premium ice-creams. The funding comes a year after Drums Food raised Rs 44.5 crore ($6.6 million then) in a Series A round led by Verlinvest. DSG Consumer Partners had come in as a new investor at that point. Since its Series A round, the company claims to have expanded distribution by over five times. It also launched the Epigamia Snack Pack, which combines dry snacks with Greek yogurt using innovative packaging. “Partnering [Verlinvest and DSG Consumer Partners] was a no-brainer and...we plan to continue expanding our product lines, categories, and geographies," said Mirchandani, co-founder and CEO, Drums Food. The company also said that Arjun Anand from Verlinvest’s Singapore office, and Prashant Chhaya, former executive director at Cadbury (Mondelez International), will join its board of directors. This is a rare venture-stage investment for Verlinvest as it typically looks at larger deals in the $50-100 million range. Some of its other portfolio companies include Vitacoco, Sula Wines, Future Group, Veeba Food, XSEED, Byju's and Global Fashion Group. Verlinvest is also a limited partner (LP) in DSG Consumer Partners’ second fund, DSGCP II. This is one of the many examples where an LP is leading a round or co-investing with an Indian private equity or venture capital firm in a local company. DSG Consumer Partners, which is led by Deepak Shahdadpuri, has $100 million under management and is now investing from DSGCP II. Its current and past investments include Sula Wines, Raw Pressery, Eazydiner, Cleartrip, Redmart, Bakers Circle, Veeba Food, Social, Mswipe, OYO Rooms (partial exit to Softbank), Zipdial (sold to Twitter), GOQii, Furtados School of Music, Saraf Foods, Chope, Burger King India and Chai Point.